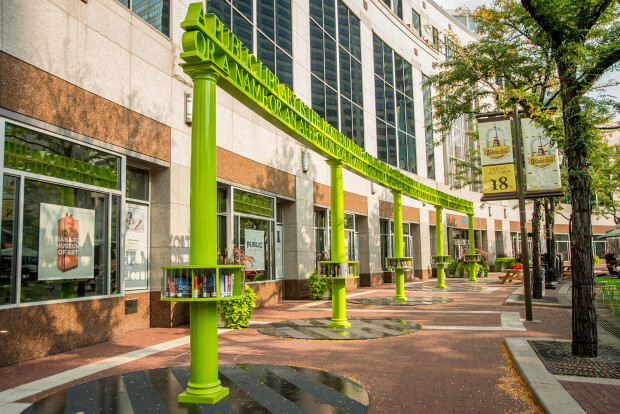 The Public Collection is a public art and literacy project consisting of artist-designed book share stations in Indianapolis. 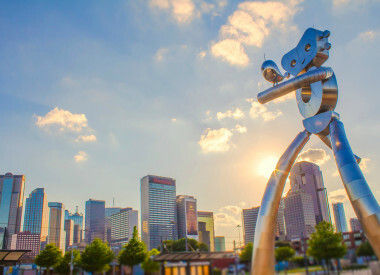 The initiative’s goals are to improve literacy, foster a deeper appreciation of the arts, and raise awareness for education and social justice in the community. 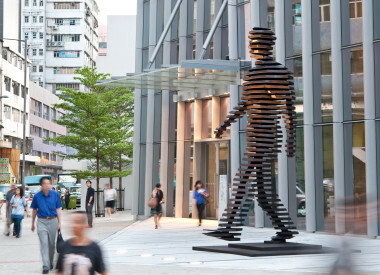 "Monument" is 80 ft long and 14 ft high and is made of steel, aluminum, polyester resin and fiberglass, polycarbonate and paint. 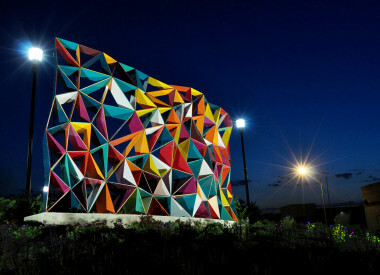 "Monument" makes formal reference to civic monument archetypes, with the twist of being modernized by color, material, and separation from a building. 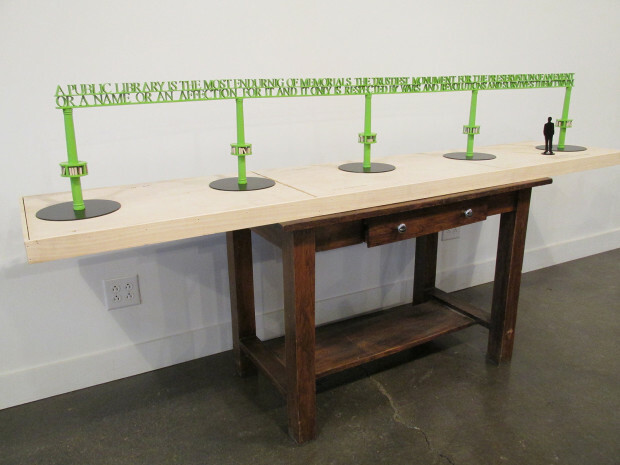 The lending library supports an 1894 Mark Twain quote that was written during the same time period as the construction of the Soldiers’ and Sailors’ Monument which the sculpture faces. 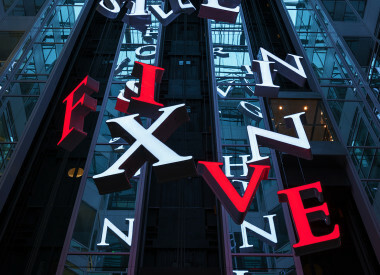 The quote suggests that books and libraries offer a more durable monument to society and culture than does the stone edifice, and this implication strongly correlates to the free exchange of literature and ideas made possible by the Public Collection project. I chose this site for two reasons: it is the least trafficked area on Monument Circle, so this project helps to bring foot traffic to it. Additionally, the view of the project from the top of the Soldiers’ and Sailors’ Monument connects the project visually to the Capitol building in the background; it is my optimistic belief that our democracy supports and encourages equality in the access and distribution of ideas, and the Public Collection installation fosters that access. 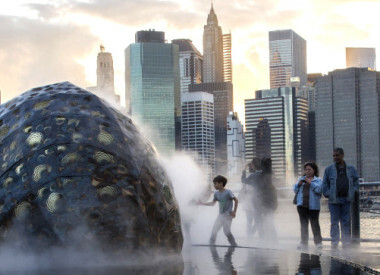 The Public Collection is a public art and literacy project developed by Rachel M. Simon to improve literacy, foster a deeper appreciation of the arts, and raise awareness for education and social justice in our community. 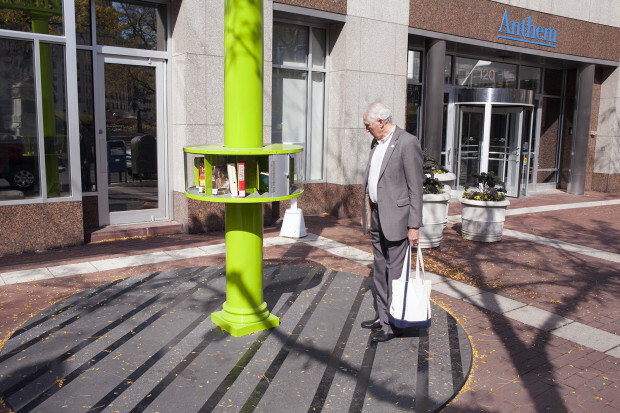 Through a curated process, Indiana-based artists were commissioned to design unique book share stations or lending libraries that are installed in public spaces around Indianapolis. Each book share station holds a varied selection of books for diverse audiences and age groups. The Public Collection stations are free and available to everyone. Passersby can borrow and return books at their leisure. 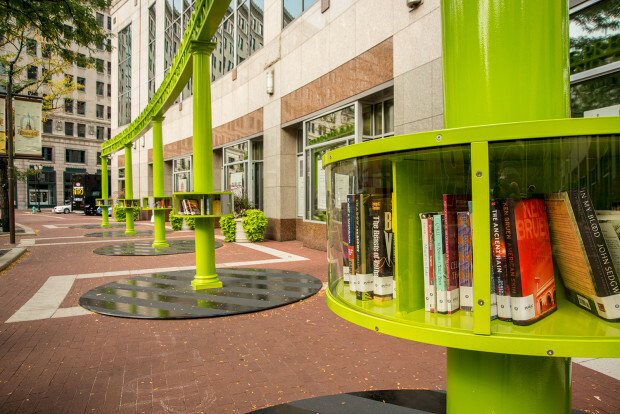 Books are supplied and stocked by the Indianapolis Public Library. 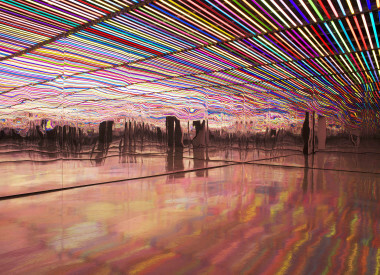 The Public Collection was developed with support from the Herbert Simon Family Foundation and is managed in partnership with the Central Indiana Community Foundation and Mindy Taylor Ross of Art Strategies LLC.